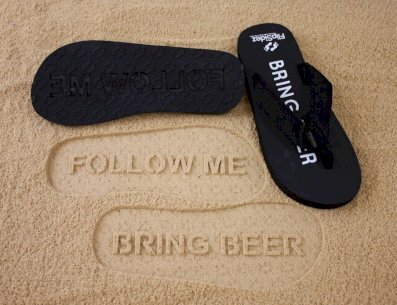 Follow Me Bring Beer Flip Flops imprint Follow Me Bring Beer in sand with every step. 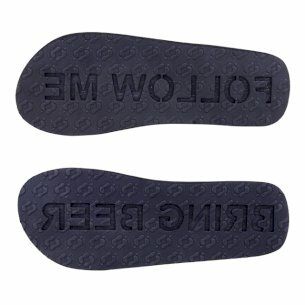 Constructed from elastic and comfortable eva foam soles with built in arch support. Soft straps are made from microfiber.